The authorities deployed Self Propelled Accident Relief Train and removed the coach. 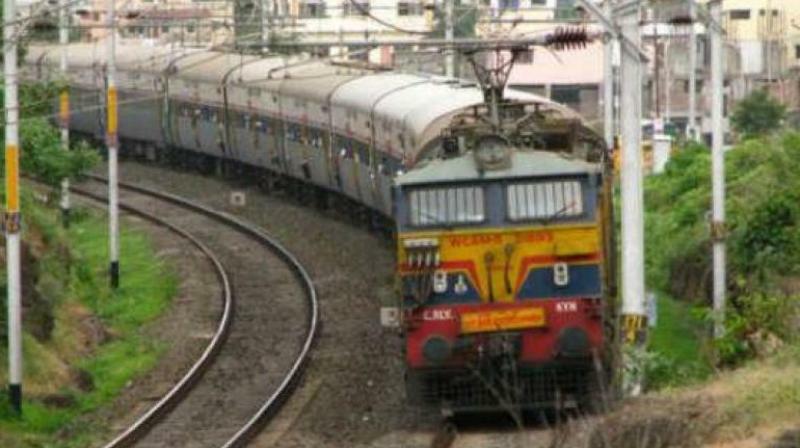 Kochi: An AC coach of the Ernakulam-Bangalore Intercity Express derailed at the South Junction on Thursday morning in the second such incident this month. The incident took place at 6 am when the coach was being towed from one end to the other to link it with the express rake. "No train service except the Intercity Express (T No 12678) was affected. We have ordered an inquiry and the duty station master has been placed under suspension," said a senior officer. The cause of the mishap is suspected to be a wrong signal given for the engine to proceed. The authorities immediately deployed Self Propelled Accident Relief Train (SPART) and removed the coach. Another AC coach was linked to the Bangalore Express which finally left at 10.50 am, nearly one hour 40 minutes behind schedule. This is the second such incident that has happened at the main station this month. On May 10 last, a loco-engine derailed during shunting after the loco pilot allegedly took it forward before receiving the signal. The loco pilot was then suspended.